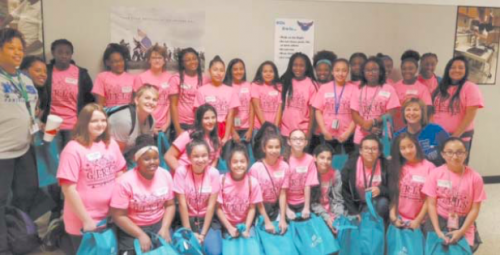 Students from STEM academy attended a field trip that was to a GIRLS (Girls Influencing Real Lives in STEM) Conference at Olle Middle. Beginning with the 2017-2018 school year, Sheldon ISD will be opening its first ever STEM Academy (Science, Technology, Engineering, and Math) at each of their middle schools. What is STEM? STEM education is an approach to teaching and learning that integrates the content and skills of science, technology, engineering, and mathematics. Both C. E. King Middle School and Null Middle School will host a cohort group of (60) 7th graders each to start the academy. Students and their parents completed an application and were drawn from a lottery to be accepted. The school district plans on adding one more grade level a year to complete the middle school academy and progress into the high school academy in the future. Students in this STEM academy will be given a challenging schedule next year that focuses on Project Based Learning in all of its core classes as well as an AVID (Advancement Via Individual Determination) class, a STEM Lab class, and two other elective classes that they choose. This challenging, yet supportive schedule is designed to not only prepare the students by supporting them with college readiness standards daily, but it will allow them to learn through experiences with hands-on projects, field trips, STEM career guest speakers and after school STEM activities. SHELDON FIRE CHIEF SIDNEY WEBB presents a commemorative groundbreaking shovel to Paul Reed, son of Paul V. Reed, one of the founders of the modern fire department, and in whose honor the new training facility is named. The shovel has a picture of the new building printed on the blade. 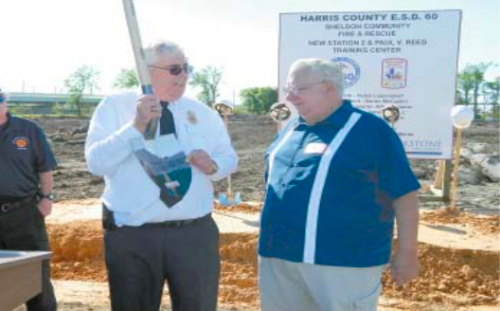 SHELDON – Monday morning of this week, fire department officials, ESD board members, and the family of the major founder gathered on a construction site on the Old Beaumont Highway, just east of Sheldon Road and west of the Sheldon ISD agriculture barns. Construction has started on a new fire station for the Sheldon Community Fire & Rescue, and will include a new station, offices for ESD#60 officials, and a training facility. The building will be 15,000 square feet in size, and include 3 truck bays, 2 vehicles deep, so that a total of six vehicles can be accommodated. At first it is planned to house four pieces of equipment: a fire engine, a tanker, a brush truck, and a rescue squad. The project cost for the facility is about $10 million dollars, which is being furnished by ESD#60. Members of the Sheldon ISD School Board unanimously approved North Shore Assistant Head Football Coach Derek Fitzhenry as the new C. E. King High School Athletic Director and Head Football Coach in a special meeting Tuesday evening at the Ney Administration Building. Fitzhenry is replacing outgoing Athletic Director and Head Football Coach Don Price who will be retiring this year following 41 years of service as an educator and coach. 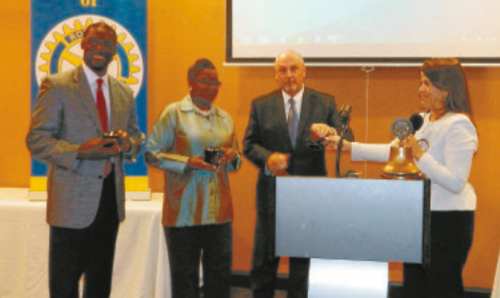 SUPERINTENDENTS speaking to the North Shore Rotary were Sheldon ISD’s King Davis, Galena Park ISD’s Angi Williams, and Channelview ISD’s Greg Ollis. At right, Rotary president Kim Gonzales awards each speaker the traditional “Gold Rimmed Cup” as a thank you. 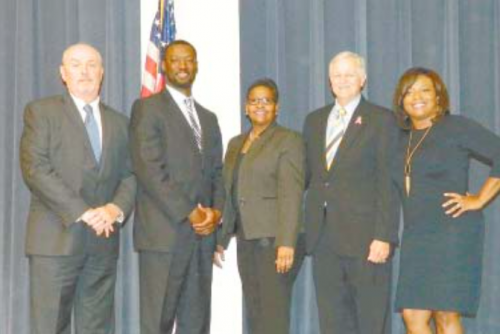 North Shore Rotary was informed of the State of the School Districts in the area, by the three superintendents of Galena Park, Channelview, and Sheldon. 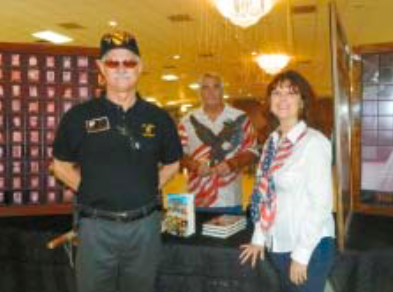 The talks took place at the regular weekly luncheon of the club, at the Holiday Inn in Channelview last Thursday, Sept. 1. 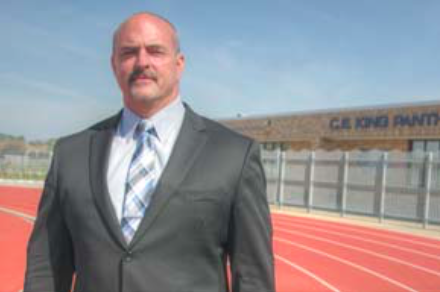 Channelview superintendent Greg Ollis said there was a new motto at CISD, “One Passion One Dream One Heartbeat.” Ollis stated that the district had grown, to 9500 students, 1292 employees on 13 campuses. For purposes of state funding, the district is classified as not affluent. 80% of the students are enrolled in free or reduced rate lunches, and 40% for free breakfast. The district budget for this year will be $78 million, and the tax rate has decreased in 2 of the last 3 years. King Davis, new Sheldon ISD Superintendent. 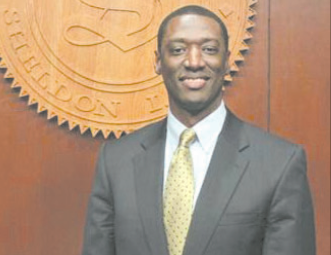 King Davis was named the new superintendent of Sheldon I.S.D. at the December 15, 2015 board meeting. 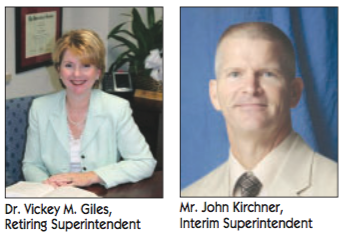 He will succeed Interim Superintendent, John Kirchner. Davis was chosen through a rigorous selection and interview process by the Sheldon Board of Trustees, and ultimately named the lone finalist during the November board meeting. The Texas Education Agency issued its report card for schools and districts last Friday, with almost all districts in this area getting a passing grade. 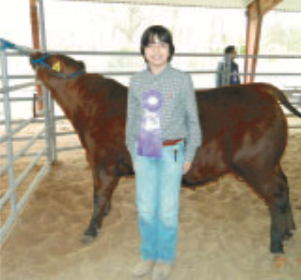 The ratings were based on new criteria, and also results were stated in a new simplified method. Either a school “Met Standard” or “Improvement Required”. 1. Student Achievement, based on STAAR test scores for the year. 3. Closing Performance Gaps, or emphasis on high level achievement of the lowest performing students. 4. Postsecondary Readiness, or graduation rates and diploma plans. However, Houston ISD had one school that didn’t, Furr High School, which was deficient in Postsecondary Readiness, graduation rates and diploma plans. The state’s third largest district, Cypress-Fairbanks, earned the honor of being the biggest district in the state in which all campuses met the “pass” standard. Although there were four accountability categories, in general they were all based on STAAR test scores. If a school did not pass in one of these four categories, it was listed as “improvement required” and this affected the district rating. Districts complained that the rating system was very complex, and therefore difficult to find out how to improve their scores.